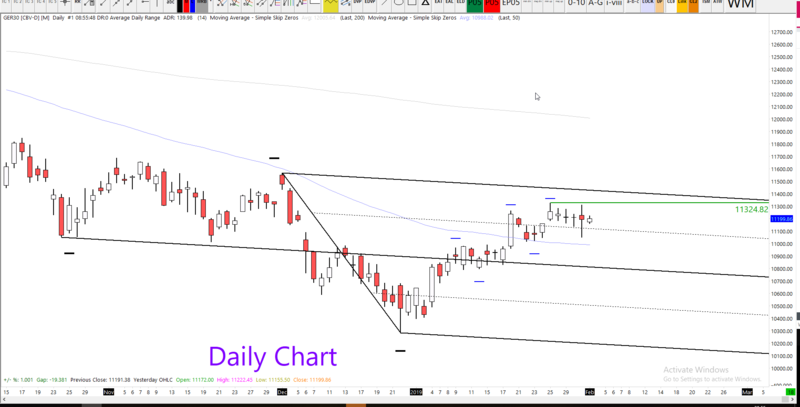 Morning traders and welcome the 01-02-2019 Dax Technical Analysis article. It’s February already! It seems like Christmas was only yesterday. In anticipation of NFP today it seems that traders are cautiously waiting. We are expecting a sustained increase in employment, but probably slowed compared to expectations. However, I have learned that it’s a fools game trying to predict NFP. Yesterday seemed to be a day for profit taking on the indices. The swings were unusual to say the least. We saw the market attempt to take out a major high, but fail and then attempt to target another major low and fail. After all of that, we are back where we started. A fresh month gives us a chance to step back and look at the wider picture. Look on the monthly chart for example. January has definitely pared the majority of losses from the December sell-off and a break above the 11324 would be very encouraging for bulls. Today, the most obvious item on the calendar is NFP later and perhaps the Eurpean CPI data. Check the economic calendar for more information there. Regarding the earnings releases, we had Amazon yesterday and today there are plenty more companies to watch for. Yesterday I mentioned that the DAX has been carving out a range between 11131 and 11325, with three consecutive, balanced, doji/spinning top candles. After yesterday we are still in that range, but we widened the levels a little after breaking 11131 to the downside. But once more, we have another small bodied candle on the daily chart and the compressed trading range continues. The hourly chart below is showing three black lines. All of these lines are trendlines which are still pointing to an area of confluence. If price continues to head lower, then this would be a likely target. The expectation yesterday was for the 11324 high to be taken out. If this high was taken out, then the bullish trend would remain intact with no arguments. But it failed to take out the high. As a result, the market looked to test the trend defining low of 11005 but failed there as well. The DAX remains bullish above 11,005, but the market is clearly ranging. 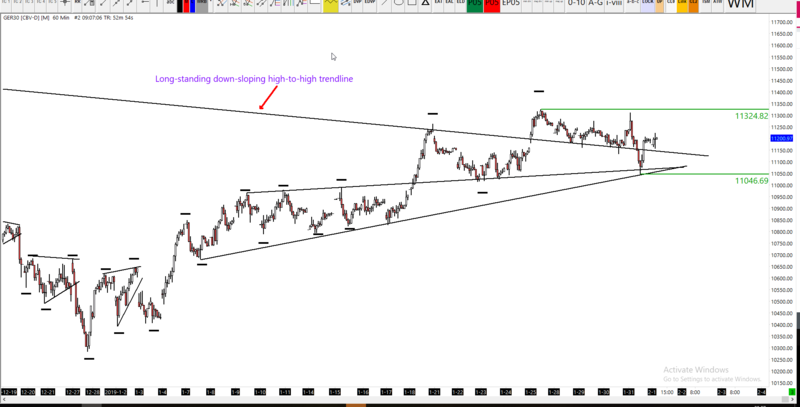 On the chart below we see a nice measured moved with an AB=CD zig zag. Now we’re trading in the BC range, which is the midpoint, also the high volume area/point of control. Today, watch the value area low and value area high for potential levels of support and resistance. Congratulations to those using the strategy using the strategy yesterday. 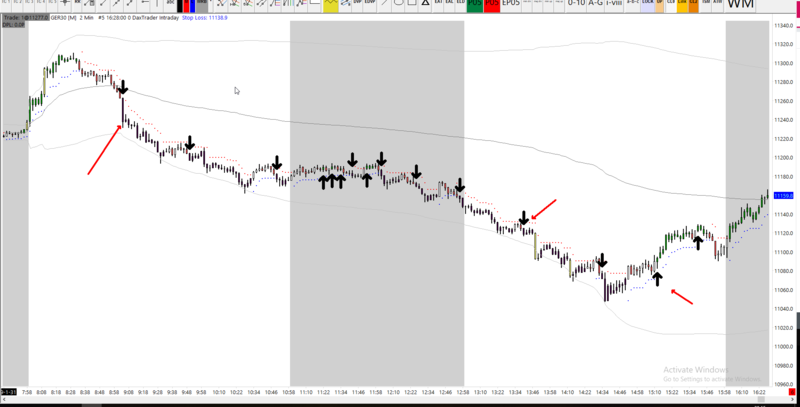 There were a couple of decent opportunities to trade the DAX. Find out more about the strategy here.